This question keeps popping up from different people: what travel resources on go do you use to get the best deals? You guys seem to be on the road, having a ton of fun a heck of a lot and still pump out content; blog posts, videos, podcasts, live shows…! Some may think we are living the laptop lifestyle Ala Ryan Biddulph! We just call it planning & making life choices! Have we told you we love to travel? Numerous time of course, it was a life choice! It’s that passion that gets us fired up to share our arsenal of knowledge, experience and research. Today we want to share with you some more travel resources we use on the go to keep track, find deals, have more fun and even get paid! Of course if you haven’t yet read our post on how to live your life everyday like it’s a vacation, you are missing out, so why not fix that now? This can wait! In this instance, our focus is on tools that get you travelling and working more efficiently as an entrepreneur or business traveller! These resources allow us to travel the world in more fun ways and save a ton of cash! In order to have travel experiences that are more pleasurable and hit the spot, we research and plan a lot! Probably more than most and for some too much lol! In the process I want to burst some bubbles, myths or call the elephant out. Anyone thinks there is a magic wand to enjoying budget or cheap travel around the globe needs this medicine. In order to be able to do that you need resources, you have to have a passion for travel and plan, plan, and plan some more. You also have to keep your finger on the ball by doing mob research to find amazing deals for flights, hotels, villas, transportation and tickets to attractions esp. if you book in advance. Or…. You are a part of a world class travel club and community where it’s all put together for you in packages that cost less than it would cost you to stay at home for the number of days you would be away! 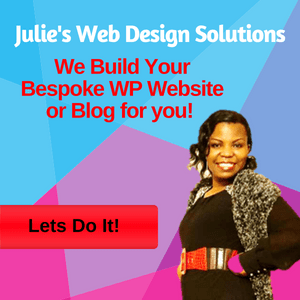 Some if not all the resources we share with you, help us in the planning process esp. if we are on the go. It takes planning to choose the best hotel for your vacation right? 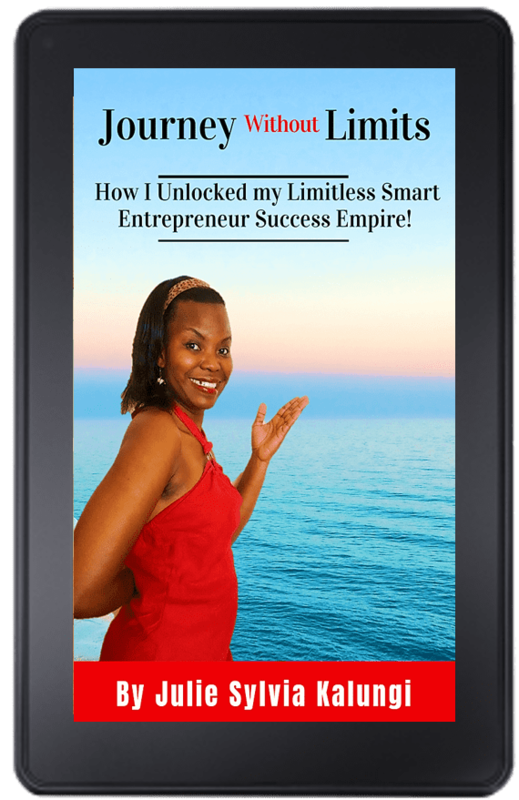 Mind you we shared a load in the Ultimate Smart Travel Toolkit so get your copy here for your pleasure. And now here are some more! You haven’t already forgotten incognito mode for your searches have ya…Okay a quick reminder Ctrl+Shift+n and away you go…ninja mode…:) Okay, check out some of the tools, services and travel resources we use on the go and services we use! Business Savvy & Travel Resources we use on the go! #1. Google Flights: – We usually check with g-flights at the beginning of the year. This helps us get a general feel of what’s up with flights worldwide and get inspiration for where we could go for vacation. Also you can get a massive low flight fare! Why? Google flights does allow you to check the world map for available flights and process to numerous destinations. If you are not fussy about where to go, you can find a great flight to a vacation spot. And by the way have you ever been caught on the hop, with a language barrier? I can’t speak Spanish to save my live, so Paul and I wandered along the beach in Barcelona and took the wrong turn coming back. #2. Cruisesheet: This is a Cruise Search engine that brings you some of the best cruise deals anywhere in the world. #4. DropBox App: Man are you like me, I take mob photos every little trip and run out of phone storage space. I don’t want to save the dang things on my PC either…Space again! So what do I do? The amazing Dropbox…I back up everything on there and choose what to keep at leisure when I get home! Open your free account here and start saving your content and images. #5. 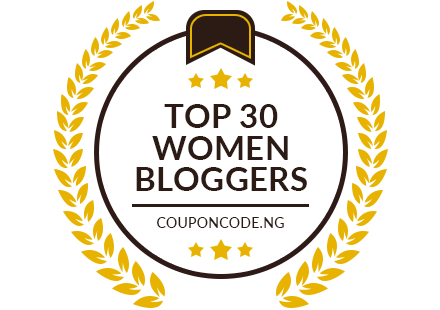 Aweber: As entrepreneurs Paul and I must keep in touch with our wonderful subscribers and we can only do that via email if we are on the go. 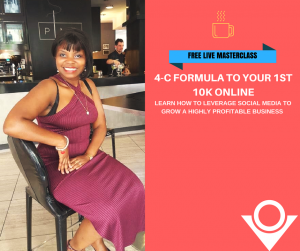 So in our opinion, this is the best travel resource on the go for email marketing, relationship building and list building! #6. Momondo: A smart tool for searching for the cheapest flights. It scans various booking websites and looks for the best offers for you. Most people are used to Expedia or Kayak. They don’t necessarily return the best deals for you. So next time you book a flight try Momondo! #8. Airbnb: You wish to find accommodation anywhere in the world? Book a place and stay in it like you live there! This is your go-to resource where you can browse and book in advance to get the best accommodation deal. Good news is you Get $25 credit (use this link to grab it) for your first stay in an Airbnb. For the entrepreneur reading this; if you own a property you don’t live in or are moving to a new location for work, you could rent out your own property and make some moolah while away. We let out our apartment in EA for people looking to enjoy the tropics and it does keep the bills paid! Airbnb can be pretty expensive in peak seasons like summer. So if you are only visiting for a couple of days, you may be better off in a B&B or hotel! 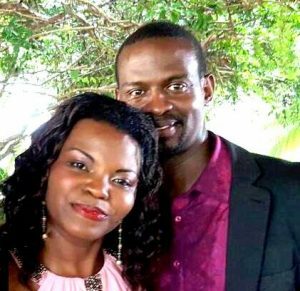 But if you are travelling for 3+ weeks, what Paul does sometimes is; set the rental duration to a month then he gets a special price for a month. Much better value. #9. Foursquare: Use this app/ travel resource on the go, to discover local restaurants, bars, coffee shops, local gyms and much more, near where we are staying short term. Esp. if the hotel we may be staying at lacks the facilities! I have found that when I miss out on exercise for more than 2 days I feel lethargic and pretty heavy. Since I spend lots of hours sat on my PC, I gotta keep doing. So to ensure I get my sweats on, I find an activity I can do, or find a cheap gym nearby and get it on! I don’t mind warming up and jogging to a location 2-3 miles away. I get to see the local scenery! #10. Nomad List: Which gives you a taster of your destination the locals way! It is specially useful for digital nomads, helps you find where to visit next. You can find prices of accommodation, discover weather conditions, even Wi-Fi levels, the best places to work and live remotely! It is a paid resource so why not check out Lonely Planet or Trip advisor for reviews! And since you live the laptop lifestyle or are working towards that, you wanna get paid anywhere in the world. What better resource and app to have on your phone that our next resource! #11. PayPal : We love the ping of our phone with a notification “Julie Syl and Pauli, you have made a sale.” Sounds like sweet music right? So you too can get paid while, on your travels. #12. DreamTrips: Thanks to private membership, DreamTrips has afforded our family amazing travel experiences only available to members. We have found the DreamTrips travel app a Godsend when looking for local eateries or hotel bookings to 3-5 star hotels at whole sale rates! 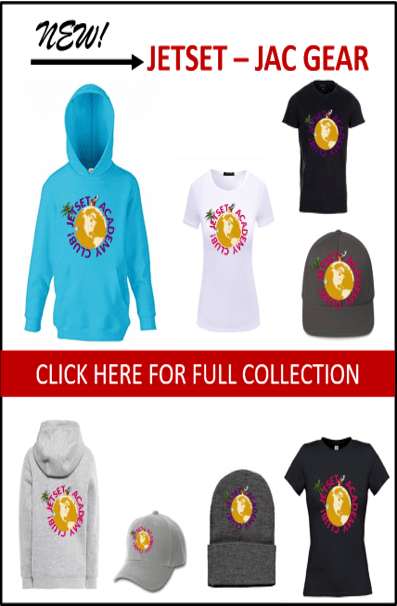 See some winter and early 2017 spring deals we found on a recent search via the App below! They are a steal, dont you agree? We smell a trip coming on soonest! #13. Booking is a cool website that allows you to book/reserve your accommodation, rentals etc. without demanding immediate payment. You get to pay on arrival or check-in! And while you are at it why not get notified when the exact flight seat you want becomes available. Use expertflyer.com. More Flights and Travel Saving Resources for you! By the way most people don’t track their flights…Are we weird? Of course not esp. when your partner flies about quite a bit or you do, its good practice to track the flight so you aren’t late or stuck waiting for too long if its delayed! #15. 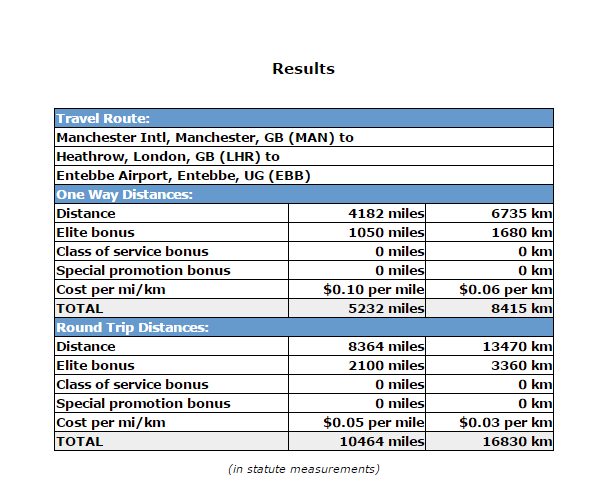 Webflyer.com mileage calculator: And if you want to fly business class on that next flight, then you should keep track and calculate the number of miles you could earn on a flight for that next one. Check out the miles we calculated and got quite close to that figure for a flight from Manchester to Entebbe via London Heathrow. #16. Awardwallet.com: – We also keep track of our frequent flyer miles, card points and other reward programs. Its FREE to join, especially great for frequent travellers. You will GET NOTIFIED via email when your balances change and before your points expire. Great lil tool for flight hacking! 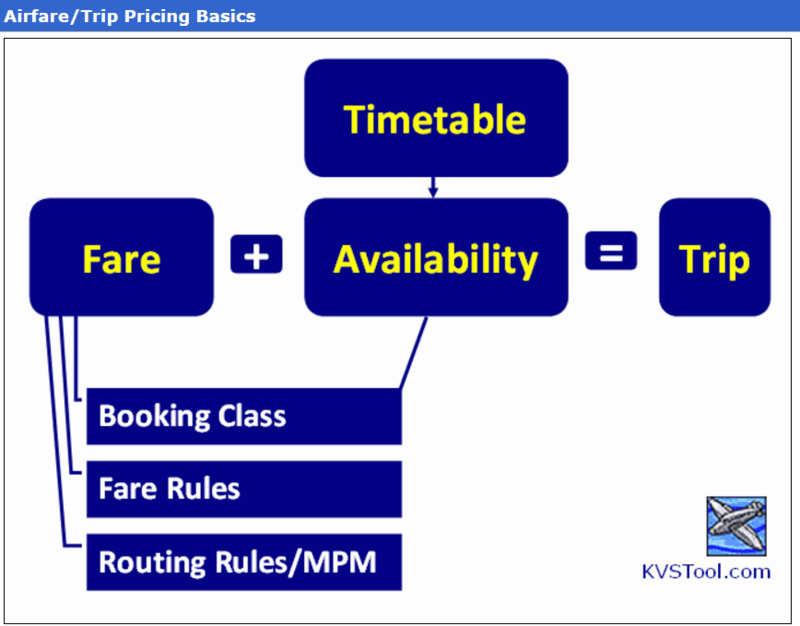 And if you wish to know which airlines offer awards or their availability, use kvstool.com . (See image below). #17. 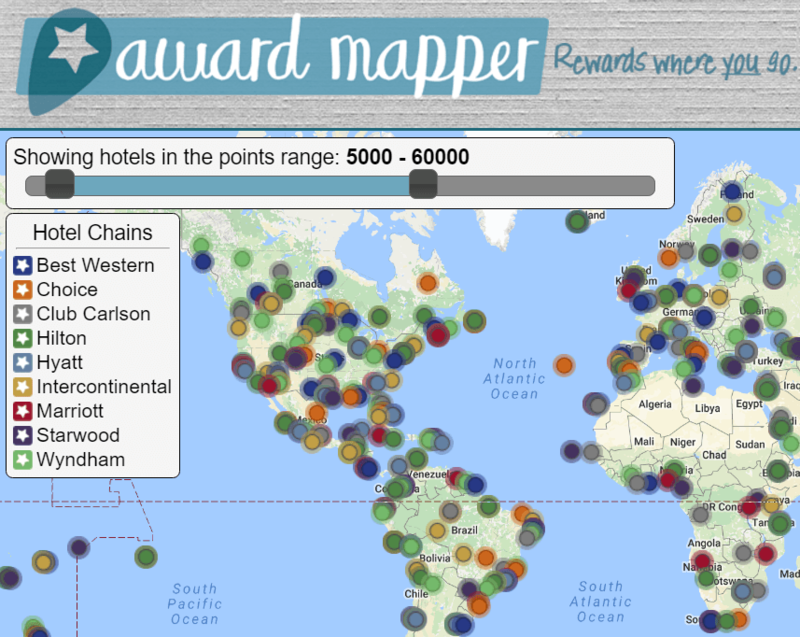 Then head on to awardmapper to discover the places/sites/accommodation to use your hotel points. Now most people, don’t tack their flights…are we weird? Of course not esp. when your partner flies about quite a bit or you do, its good practice to track the flight so you aren’t late or stuck waiting for too long if its delayed! #19. Wikivoyage.org: – You might be the fussy type like we are 🙂 who plan every step of a trip. Let wiki travel guides save you the stress of finding your dream attraction for nearly any travel destination globally. The thing is you can just be the type that drifts into most things, even travel or plan your trips for maximum fun extraction. If you do you will find yourself travelling more, finding more fun places to visit both locally and internationally. Without spending a fortune. CityPass, Travel Zoo, Uber, Airfarewatchdog, Hotels tonight, Martin Lewis website, and Travel Pony! Now you may ask don’t we see anything when we travel? Well for attractions and activities, we go crazy on the research and planning. We check out local websites, read travel blogs, cross-reference all these on TripAdvisor, ask other members of our travel club their experiences, until we find exactly where we will visit! Too many resources to mention! So there you have them. 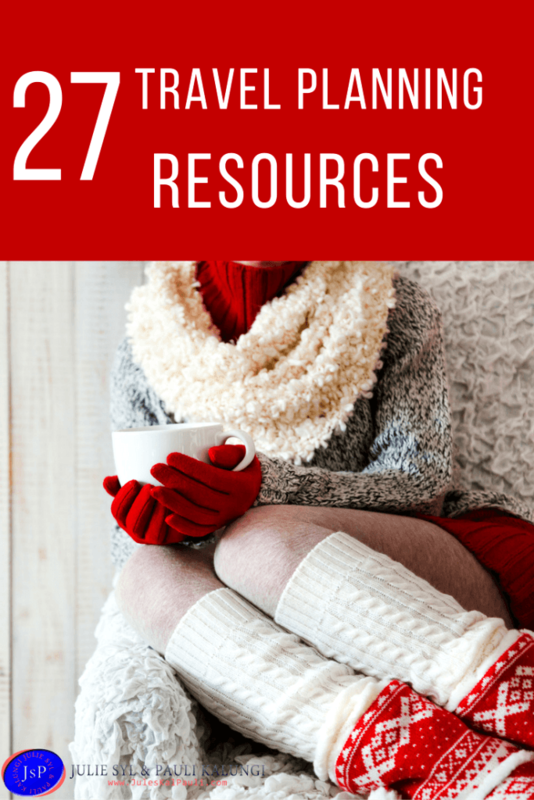 Over 27 of our best travel resources on the go! Well as you can tell we are travel hackers. And that’s a GOOD Thing! And can I just say that I believe, we can all travel the world and see what it has to offer! We must stop giving excuses like our Location, circumstances, finances, where we live or grew up. Most of us have choices, if you are reading this post, you have access to a gadget and internet access. Both these cost some money…! Find your passion and monetize it, create that extra or full time income and #neverstopexploring. Travel helps us learn new things and push our boundaries, how about you? 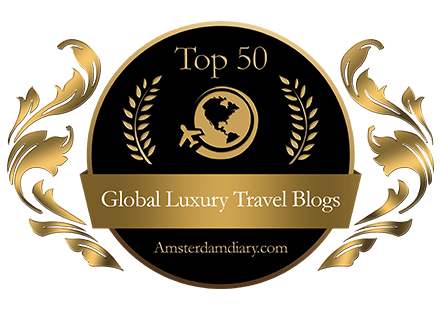 If these travel Resources on the go grab your attention OR it’s your first visit Take a walk with on to get every post on Publication and receive amazing travel tips, deals and access to an amazing travel app. Woop woop, You are on a roll Tauyan. Then again you are a globe trotter too 🙂 tanks for sharing the money transfer! What a wonderful Post and it took me right to the plane flights out of New Jersey and the rates. A wonderful job as usual with great tips on Uber. It’s exiting to travel and I can’t wait to do more. Both me & my husband travel a lot and I agree planning is so much important to get everything safe & smooth in your journey. These are some great resources that could help a lot in saving some money during any trip. Thanks for sharing this! A friend of mine was just asking where she could look for the best deals for an upcoming trip she wants to take so I will be sharing this with her! Thats what we love about sharing So others can have netter travels 🙂 Thanks for sharing Christine! I want to bring my children and my grandson abroad for a vacation. I wish I can save more money for my dream trip, will check these things. I am planning of traveling this year, I will check these resources. Sounds like we will have stress-free travels! These are great resources, Julie. I used some of them, I’ll check out what I missed. I never know that traveling can be cheap. I will check these resource to save money on my trips. Take your time and thanks for swinging by! Thanks for sharing these tips. They should make traveling considerably easier. Our utmost pleasure Clara 🙂 Thanks for stopping by! I haven’t travelled abroad but just in local places here in our country. I use Google maps and it helps us a lot! We hope that one day you will go abroad Nicole. You will love it 🙂 Google maps is a great travel resource! These are great tips for traveling! Next time we have to travel for work, I am going to use a few of these tips. I love to travel especially with my family so when it comes to booking tickets and hotels, I make sure that I am updated with the latest deals! I think this is an awesome list, some I have used before. Glad yo have used some of these travel resources before Amanda. Now you got some more! This is why I love technology so much. There are so many helpful tools and sites out there to make your travel easy and fun. I rely on websites for my travel needs as well, it’s convenient and there are so much more deals that you can take advantage of. I usually subscribe to airlines that I fly with or sites that help with booking accommodations. Recently, I’ve been loving Airbnb! Airbnb is awesome ELiza, Glad you have been utilizing most of these apps and travel resources! We feel the same way Andy. DreamTrips has an awesome app as a club and members d have so many perks. Its a joy to be part of! But there is life outside of DT and lots fo these resources show how much DT is amazing:) glad you got value! 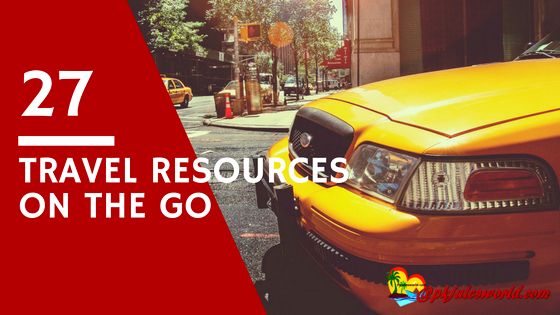 I had no idea there were so many travel resources out there. I need to use some of the apps myself. Like I had no idea about Google Flights. Glad you got value, thanks for stopping by! I need to download the TRANSLATE APP asap!!! Great tips! Will try those amazing ideas on my annual vacation. Thanks for sharing!